For a brake repair shop you can trust, bring your vehicle to Mode Automotive. With more than 6 years experience, you can trust our expert brake repair work alongside our Quality customer service. At Mode Automotive, your brake repairs are always performed by an ASE-Certified technician; you can count on their expertise to fix your brakes correctly. There are no brake repairs we can’t handle, whether your brake pads are worn out, your calipers are leaking, or your brake fluid needs to be changed. 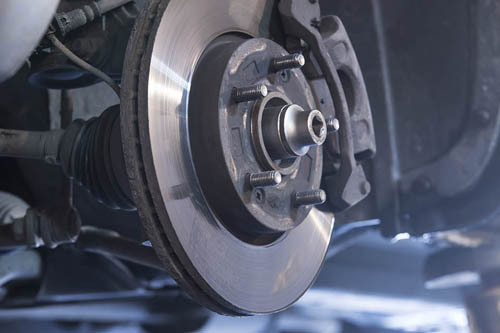 We perform brake repairs on a wide variety of makes, including Plymouth, Pontiac and Acura. The safest brake repairs require high-quality parts, as your safety is paramount. We use only top-grade aftermarket and OEM brake parts; you can rest assured your brakes will stop your car every time. For your comfort, we back all our repairs with our 1/12000 warranty. For trusted brake repairs in San Diego, CA, visit Mode Automotive. Call us today or use our convenient online form to book your visit.